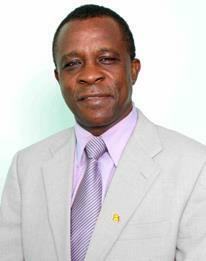 Former Prime Minister Dr Keith Mitchell has given the assurance that he will be in Grenada for the duration of election campaign and a legal matter in a Brooklyn Court will not affect his ability to contest for public office as Parliamentarian. “I can assure you that I will be here, this is a civil matter, and this matter will not stop me from running.” said Dr Mitchell who explained that the date set for meeting with the Judge will not hinder him in any way from contesting to represents the people of North West St George’s in the Lower House Parliament. “Where you ever hear a civil matter will get priority over national elections, the people should not worry, I will here, I will be in Grenada,” said the Political Leader of the New National Party which is the main opposition political organization. In November 2012 Judge Larry Martin in a Court in Brooklyn, New York issued an order requesting Dr. Keith Mitchell and his wife, Marietta Mitchell to appear before him on February 18, 2013 to answer questions in connection with their failure to pay thousands of dollars to a former employee. Mitchell who was first elected to the Parliament in 1984 is looking forward to representing the North West constituency following the 2013 general elections and celebrating his 30th year in the Parliament in 2014. He served as Prime Minister from the period 1995 to 2008. Speaking on the date for election and plans for the NNP in moving forward Dr Mitchell said that he and his executive knew that election will be called sometime during February. “That is why we were preparing ourselves and now that the date is called its just a matter of finalizing our finishing touches and launching our manifesto,” said Mitchell who is confident that his New National Party team will return to power. Prime Minister Tillman Thomas who is the political leader of the ruling National Democratic Congress announced on Sunday that Grenadians will be voting on February 19th 2013. Thomas has selected a team of ten newcomers and four other stalwarts whom he described as the winning team to take Grenada forward. “I am confident that with this team, we will get a fresh mandate to keep moving the country forward,” he said while announcing the date to thousands of supporters in a rally which was held in the north of the island.